Taking Amtrak from my new home in Exeter NH to NYC allows me to read the intriguing mystery, "City of Veils" and play dozens of games of Words With Friends.When I emerge from Penn Station I'm greeted by a huge dumpster filled with evergreen shrubs and ivy. Is this a sinister omen? now has more variegated plants and some with colored foliage. 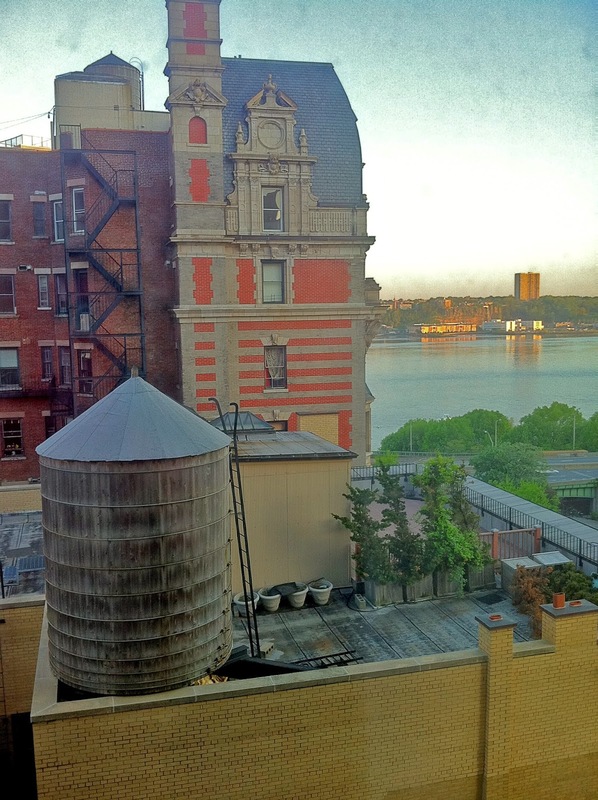 The view from my host's window is of an iconic NYC roofgarden: next to a landmarked historic building, a wooden watertower, a few shrubs, a few pots, a view of the Hudson River, and voila, a garden. By the edge of the woods, the spring ephemerals are coming into bloom. 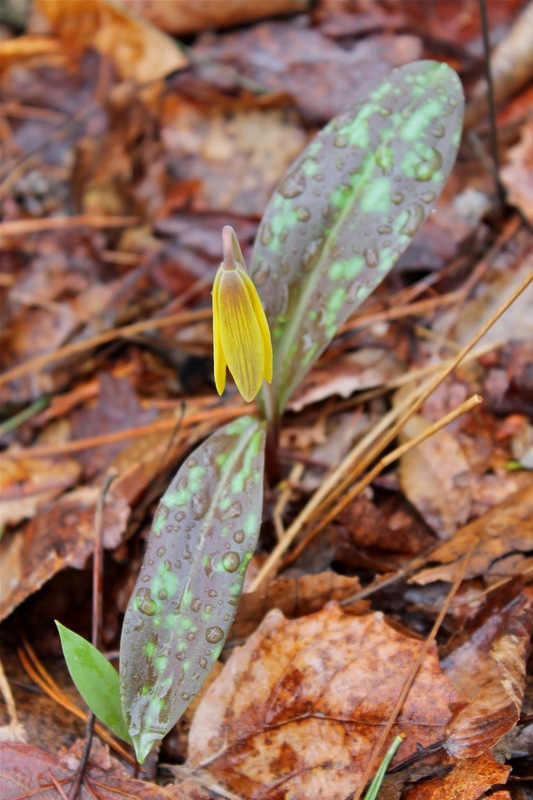 Last Wednesday, a solitary Trout Lily was closed in the rain. 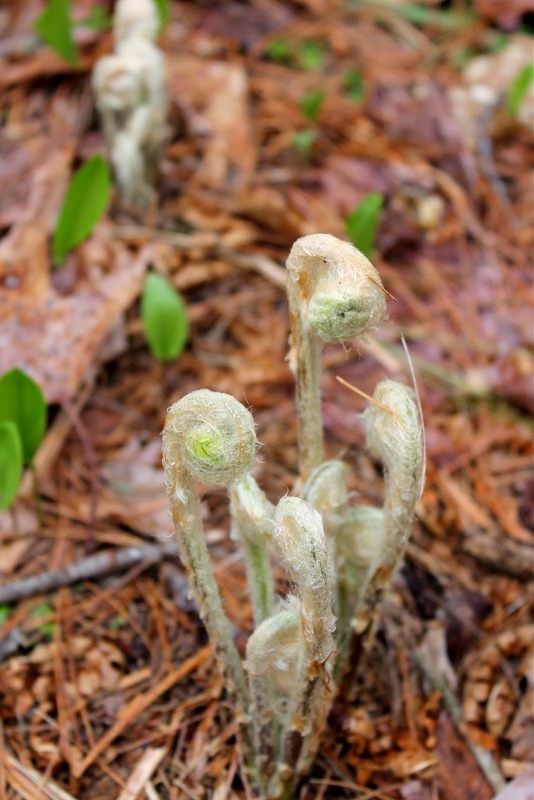 Three days later I spied masses in full bloom. 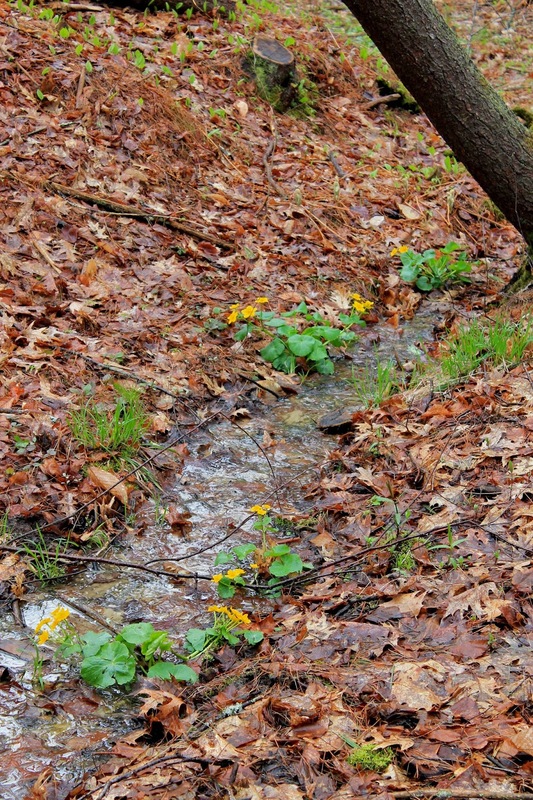 And Marsh Marigolds burst open in the wetlands. A few shy Wood Anemones enchant me. But oh, how I miss the bright lights of New York. Above, the start of my latest collage using pieces of photos I took at night in the City and found papers. Click on image to enlarge.